Several months after its announcement, Wargaming have now officially launched World of Tanks Update 1.0. The latest installment takes tank combat to new heights with improved visuals, 29 completely reworked battlefields, a new soundtrack and the new Glacier map. “Update 1.0 improves the baseline technology for the game, introducing the in-house developed Wargaming Core graphics engine,” said Milos Jerabeck, Development Director for World of Tanks PC. World of Tanks' Update 1.0 is being released in partnership with Intel Corporation to help ensure that World of Tanks remains up to date on the latest technological advances and uses them to enhance its gaming experiences. “Intel is committed to driving technological innovation in the PC gaming industry,” said Michelle Chuapraset, Senior Director of Developer Relations Programs and Initiatives at Intel Corporation. Together with greater fidelity, Update 1.0 adds a brand-new dynamic soundtrack. Each in-game location gets its own theme that resonates with its setting, creating a unique atmosphere for every battlefield. Published by Sony Music Entertainment, the World of Tanks official soundtrack will be available for listening and downloading for free at all major music platforms. 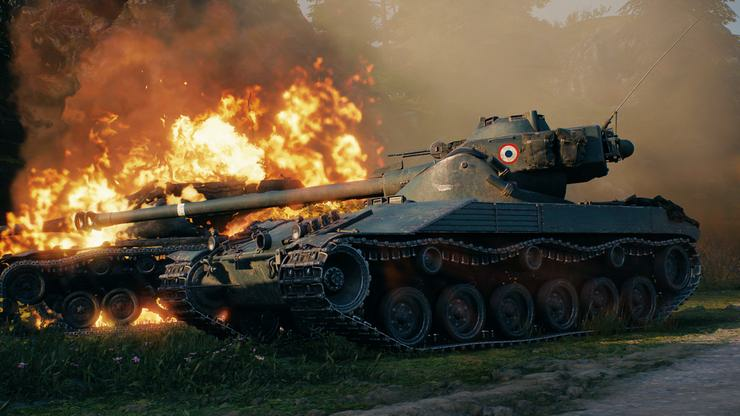 Celebrating the launch of Update 1.0, World of Tanks has announced the Grand Extravaganza - a two week long marathon full of battling and rewards. Starting March 29 until April 13, players will get chanced to earn multiple in-game bonuses, as well as prizes from Intel.